From Austria, lives in Gran Canaria since 1993. Hi Hi and welcome! 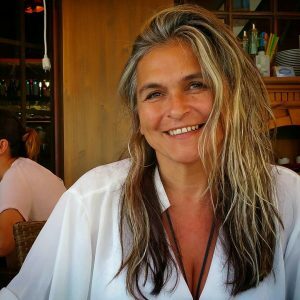 I am Judith, the founder, implementor, author, translator and coffee girl of the GRAN CANARIA REGIONAL Guide. 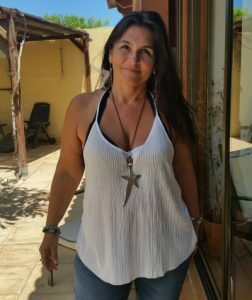 After reaching the 20 year mark of living in Gran Canaria in 2013, I felt it was time to share what I knew, cherish and could not be without for too long. on this remarkable little and yet so big island in the Atlantic ocean. I feel truly blessed to call the south of Gran Canaria, to be exact the Costa Maspalomas my home. And that I had the chance to watch my children grow up here and be completely integrated in the Canarian society. When I started this Online Guide as a hobby, all I wanted was to test and write reviews for restaurants, bars and eateries in general. 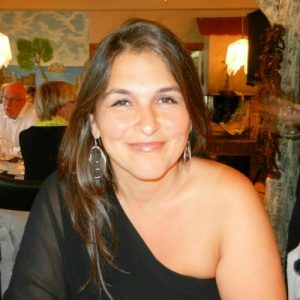 That is why I called this Website the “GranCanariaRGuide” , as in Restaurant Guide, to begin with. But after only a few reviews I realized I also needed to share my experience about all the other businesses, new places, views and more I discovered almost on a daily basis. By the end of 2014 I changed the name to THE R GUIDE, and aimed at doing this full time. In January 2015 I had my first paying clients, and a little later employed my first helpers as freelancers. Craig, Kirsi, Juan, Marzella and Amanda came on board. Kirsi still to this day is our main Finnish translator. Encarna, our native Canarian wizard came on board later, helping here and there, making sure that no Spanish phrase sounded weird to the Canarians. Michael joined and took on the job of helping me translate to German and wrote a few articles. In 2017 Joyce joined the team, helping me run the ever growing number of Social Media accounts – our own accounts as well as the numerous client accounts. The company grew steadily as our satisfied clients were recommending our services to their friends, and our own Social Media accounts became well known in Gran Canaria. You can follow our progress in About Us. In 2018 a new era began when we re-designed the website, made it light speed fast and beautiful. 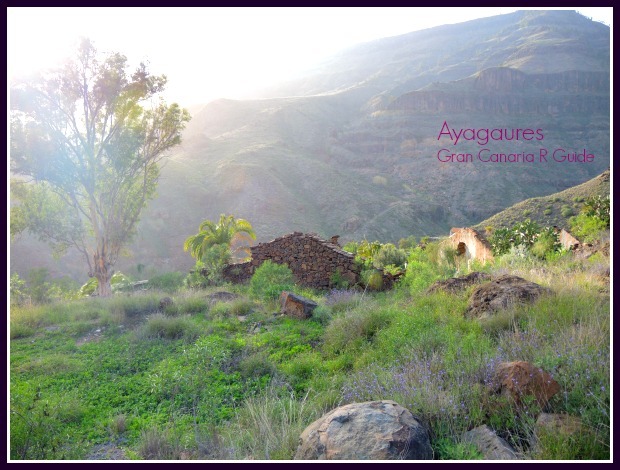 The steadily growing multilingual guide needed a new name – one which every nationality could pronounce and which was easy to spell: GRAN CANARIA REGIONAL was born! The travel fever was always within me. To tell you the truth I feel happiest when on the move. My parents are Croatian who emigrated to Austria when I was one year old. My husband is from Denmark, so we do happen to travel regularly to see our families or introduce our home countries to our children. On the right an image of me in Denmark, at a family party in the summer of 2013. From when I was very young I knew I would live in different places of the world. In 1993 I arrived in Gran Canaria to live here for a while. I had heard it was paradise, always warm and fun to be here. My youngest was one year old at the time and my second one was on her way. They have grown to be adults, the eldest has moved back to Austria when he turned 18, and we had two more boys come along. 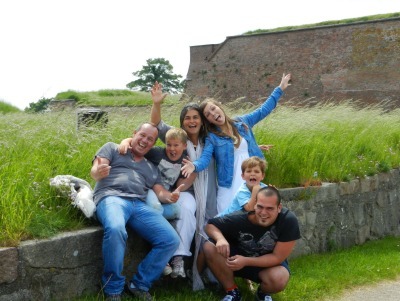 Here you can see a rare pictures of our whole family together, taken on a summer holiday in Denmark a few years back. Gran Canaria was not love on first sight. When I arrived, I was expecting lush greens we find on the Adriatic coast of Italy and Croatia, or idyllic towns like on the coast of Greece. I arrived by ferry in Las Palmas harbour. On the motorway and coastal road to Puerto Rico I saw only dry land and vast plastic sheets covering the tomato plantations and further south skyscrapers for hotels. In the South of the islands many of the plastic sheets have disappeared revealing barren land and the less than handsome skyscrapers are still here. This brown barren landscape will not suddenly turn green – there are too many sunny days a year and the skyscrapers are here to stay! What has changed is the way I see it all. I learned to slow down, look for the beauty and enjoy. Now I see the vast blue see, visible from almost anywhere from the island, and marvel at the depth and size of it. I adore the contrast of the different shades of brown and blues, interspersed now and then with greens. I love driving up the mountains and immerse myself in the different greens of the suddenly green country side. One just has to go and find it. I love the complete stillness in the Maspalomas dunes. I love the wild and dangerous waves at certain times of the year and the calm mirror-like sea at other times. Nowadays I even appreciate the wind which seems to be blowing all the time on the south west cost. What I probably love most of all, is that I like rain. Simply standing and marvelling at the falling drops from the sky, which the dry earth receives so gratefully. There is something truly special about this island. 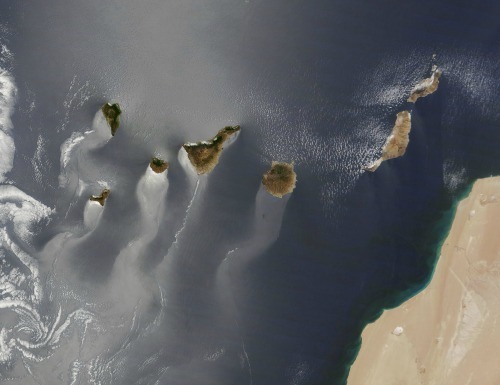 In fact, there is something special about all seven of the Canary Islands. My husband and I slowly fell in love with her, “La Isla de Gran Canaria”. We discovered the many different beaches and the lush greens in the interior of the island. We discovered that Gran Canaria was a miniature continent with 5 different climatic zones! We realized how incredibly friendly and helpful the Canarians are, how life slows down and invites you to enjoy. We learned to relax and to pay attention to see the true beauty wherever we went. We are blessed that we could make Gran Canaria our home. Now we will not give it up again. If we should ever decide to try living somewhere else, we will always keep a base here. Going to the beach, do water and other sports, eating out, going for walks in the nature or sightseeing new towns are our hobbies. One of the amazing things in Gran Canaria is that it can stand still for a long time, like an unfinished building, a road construction or its educational system. But then, all of a sudden, it leaps forward – it explodes like a volcano. Through somebody’s initiative something new and interesting comes into existence. There is so much to write about, so much to share with you. We hope we can inspire you and add value to your experience of this island paradise. Drop me a line and let me know what you think about Gran Canaria.